1903 December 17, 1903 3 ¼ ft 1 m Wilbur Wright Wright Flyer propeller Record uncertified. The Wrights made several more flights, with increasing altitude, in 1904 and 1905, none of which was witnessed by an official body. 1906 October 23, 1906 10 ft 3 m Alberto Santos-Dumont 14-bis propeller First officially witnessed and certified flight. 1910 June 17, 1910 4,603 ft 1,403 m Walter Brookins Wright biplane propeller Washington Post; June 18, 1910; Indianapolis, Indiana, June 17, 1910. Walter Brookins, in a Wright biplane, broke the world's aeroplane record for altitude today, when he soared to a height of 4,603 feet, according to the measurement of the altimeter. His motor stopped as he was descending, and he made a glide of 2 miles, landing easily in a wheat field. 52 years of records go here. 1783 — August — 24 m (80 ft); Jean-François Pilâtre de Rozier of France, made the first ascent in a hot-air balloon. 1783 — 1 December 1783 — 2.7 km (9,000 ft); Jacques Alexandre Charles and his assistant Marie-Noel Robert, both of France, made the first flight in a hydrogen balloon to about 610 m. Charles then ascended alone to the record altitude. 1784 — 4 km Pilâtre de Rozier and the chemist Proust in a Montgolfier. 1803 — 18 July, 1803 — 7.28 km Etienne Gaspar Robertson and Lhoest in a balloon. 1839 — 7.9 km Charles Green and Spencer Rush in a free balloon. 1862 — 5 September 1862 — 11.887 km — Coxwell and Glaisher in a balloon. Both lost consciousness during the ascent due to the low air pressure and cold temperature of −11 °C (12 °F). 1927 — November 1927 — 13.222 km — Captain Hawthorne C. Gray of the US Army Air Corps. in a balloon. 1931 — 27 May 1931 — 15.787 km — Auguste Piccard & Paul Kipfer in a hydrogen balloon. 1932 — 16.2 km — Auguste Piccard and Max Cosyns in a hydrogen balloon. 1933 - 30 September — 18.501 km USSR balloon. 1934 — 30 January — 21.946 km USSR balloon. 1935 — 10 November — 22.066 km Anderson and Stevens in Explorer II. 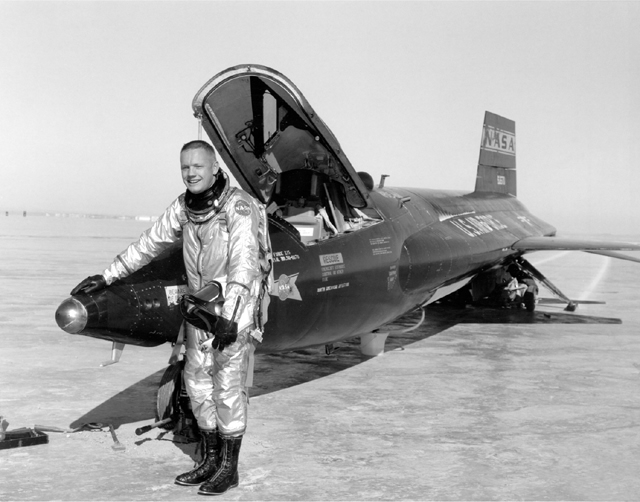 1960 — 16 August — Joseph Kittinger parachutes from Excelsior III over New Mexico at 102,800 feet (31,333 m). He sets unbeaten (as of 2005) world records for: high-altitude jump; free-fall by falling 16 miles (25.7 km) before opening his parachute; and fastest speed by a human without motorized assistance, 614 mph (982 km/h). The highest altitude obtained in an unpowered aeroplane is 50,699 feet (15,453 m) on 30th August 2006 by Steve Fossett (pilot) and Einar Enevoldson (co-pilot) in their high performance research glider, breaking the previous record by 1,662 ft (507m). This record was set as part of the Perlan Project. The previous record was 49,009 feet (14,938 metres) on February 17, 1986 by Robert Harris in lee waves over California City, USA.